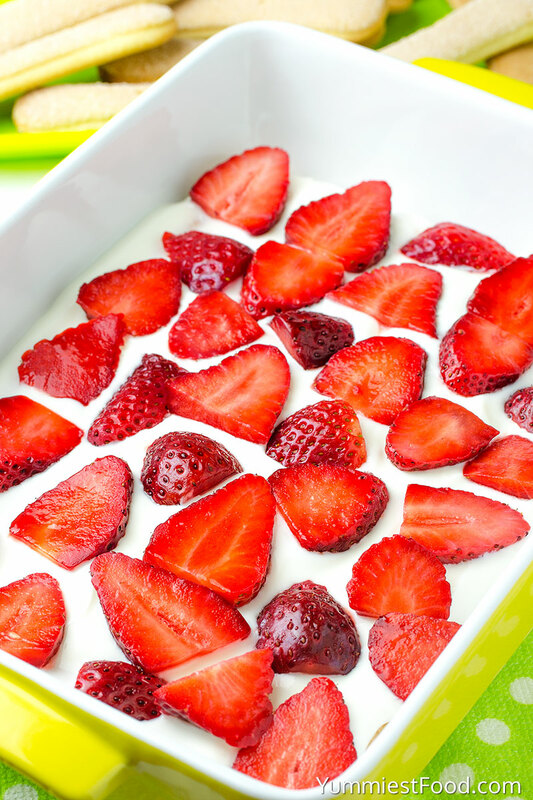 NO BAKE STRAWBERRY TIRAMISU – No BAKE Strawberry Tiramisu is the perfect EASY dessert for spring and summer potlucks, parties, picnics and Mother’s Day. 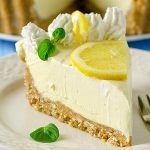 The perfect cool dessert! 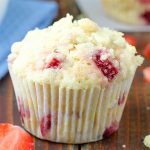 My family likes strawberries in every shape so I knew that my husband and children will like this recipe. We like strawberries because they give freshness in every recipe we add them. 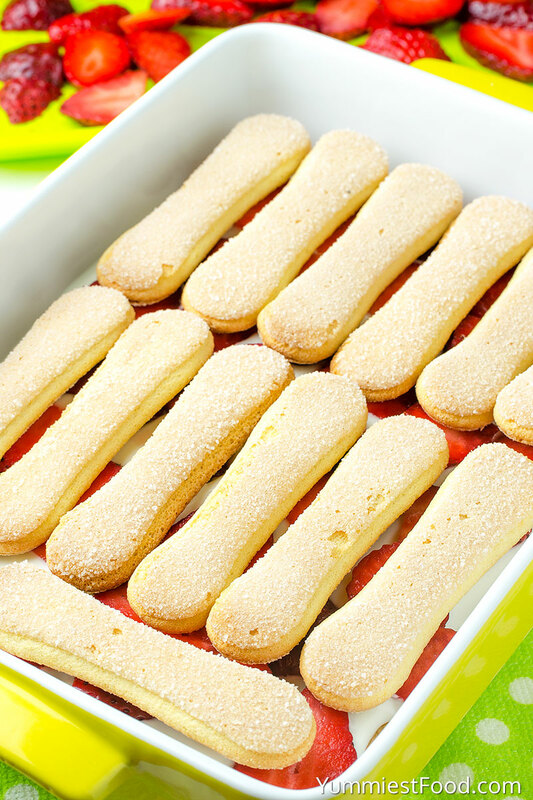 No bake Strawberry Tiramisu is light, refreshing and easy to make dessert. 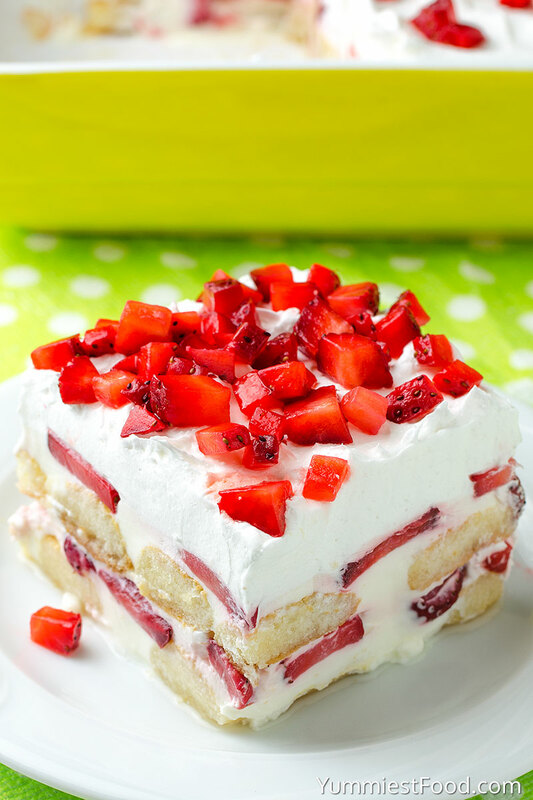 This no bake Strawberry Tiramisu is perfect recipe for summer. So creamy, so easy and topped with fresh strawberries! 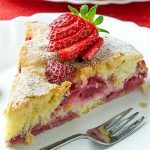 I can say that this recipe is one of my favorite cakes with strawberries. I have got this recipe from my friend. She always told me how her family likes strawberry cake which she can make very easy and they eat immediately. She has given me recipe and I have made it right when I came home. I was looking for Strawberry Tiramisu recipe for a long time and when I made her recipe I was surprised. It is super light and super delicious. 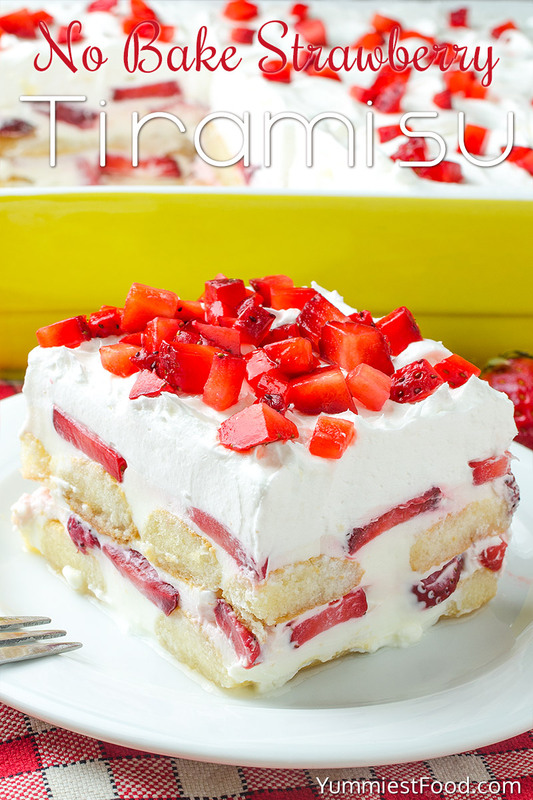 Everyone goes crazy over this Easy Strawberry Tiramisu recipe. 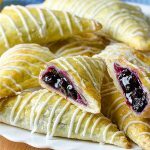 The velvety, luscious mascarpone filling is out of this world, in both flavor and texture. Layers of ladyfinger, a creamy mascarpone mixture and fresh strawberries make this no bake Strawberry Tiramisu a crowd pleaser. Two layers of fresh strawberries give this dessert plenty of fresh strawberry flavors. 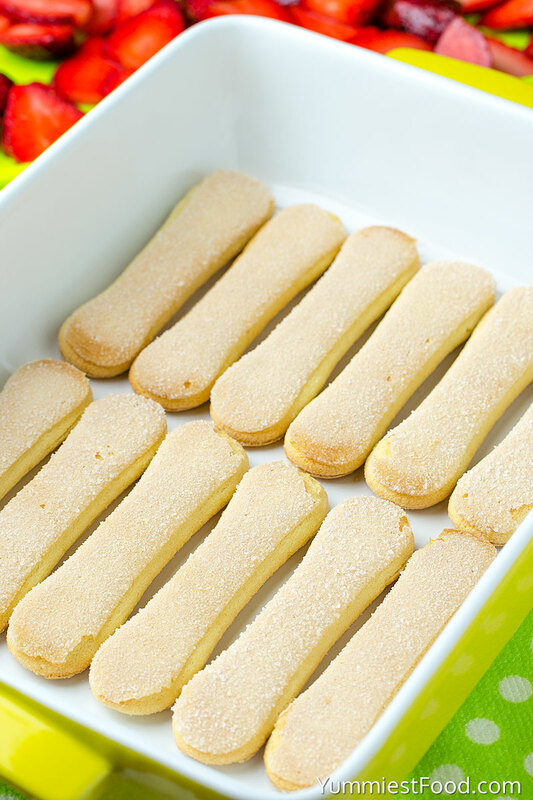 This recipe is perfect answer if you ever wanted to make something nice, quick and easy. I really liked it very much. It was melted in my mouth. 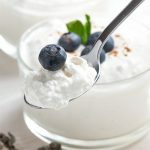 I also believe that this recipe will be super delicious even with some other fruits peaches, blueberries, raspberries and also know that I will make with other fruit for sure. Summer is coming so we need to enjoy in rich flavors and in fruits full of colors and aromas. 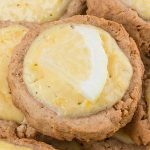 If you need more ideas what to make with fresh strawberries, check these easy Strawberry Cake and Strawberry Cream Puffs recipe, too. I warmly recommend you to taste this Easy Strawberry Tiramisu and I am sure you will like this adorable and quick dessert. Enjoy! 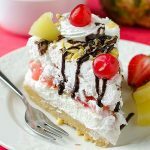 NO BAKE STRAWBERRY TIRAMISU - No BAKE Strawberry Tiramisu is the perfect EASY dessert for spring and summer potlucks, parties, picnics and Mother's Day. 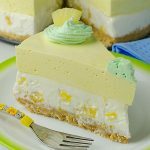 The perfect cool dessert! This looks delicious. Thanks for sharing! I am making this soon! Also wanted to say that i see you posted this just about a year ago. You picked the perfect time of year to share it! You’re very welcome, Cindi! 🙂 I’m glad you like the recipe!